10 Memorable Gift Ideas for Your Wife That'll Make You a Gift-giving Hero! Don’t let gift-giving stress you out. While there are incredible varieties of gift ideas for women, you don’t want to be “that guy” who waits ‘til the last minute and comes home with “something-anything just to show you tried.” To win her heart (and keep it) here are 10 gift ideas for your wife that are truly memorable and as uniquely awesome as she is. These amazing gifts will wow and woo your wife – but they’re just as great for your mother, sister, or adult daughter! When did you meet? When did you first say “I love you?” Or when did you both said “I do?” A map of the stars commemorates a special day – and you can keep the tradition going with 10-year anniversary star maps! Available from https://www.etsy.com/shop/TheStarsAboveCo on Etsy, starting at $50. What’s better than a gift she’ll use daily? Most French presses are glass, but for a more memorable and upscale look that matches the kitchen decor, Le Creuset makes a French press from durable, high-fired stoneware with a gorgeous glossy enamel glazing in a variety of luscious colors she will love. About $70 on Amazon and many specialty kitchen retailers. The perfect gift idea for women who love to work out. Not only does it track workouts, but sleep habits and nutrition to help her maintain a healthy lifestyle. 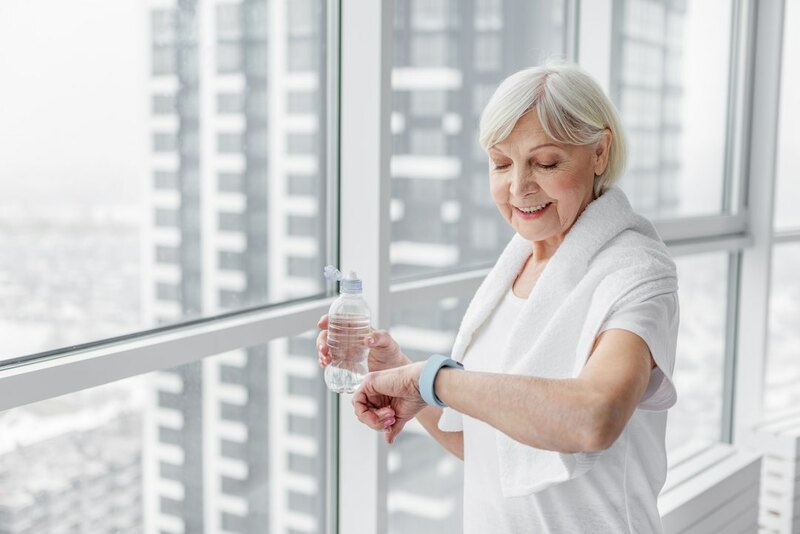 Fitbit or the Apple Watch are great options with a variety of features. Keep the romance alive with impromptu weekend getaways. A beautiful weekend bag is sure to inspire some romantic escapes! Bonus: hide a surprise inside, such as B&B and dinner reservations, a hot air balloon ride booking or some sneak peek into what the weekend will bring. 5. A fun phone case that reminds her of a special time. collage.com, as well as many other online retailers, offer the option of customizing everyday objects using your own photos. A picture of the kids, the grandkids, your wedding, her favorite pet, her garden, a special trip… any photo can be used to decorate a phone case! If she’s an avid reader, she’ll love getting to choose a new book every month! Book-of-the-Month Club membership is affordable at $45 for 3 months. She’s going to spend the money on books anyway, so be the one to support this wonderful hobby! Yes, now they’ve thought of everything! Give your wife a statement bracelet that is beautiful and customizable – and incredibly useful as an attractive and travel-worthy phone charger! Available at MarkandGraham.com for $149. 8. A stainless steel water bottle. 9. A “where it all began” throw pillow. A conversation starter and a great reminder of where your love story begins. Available from gifts.com for $46 and up. 10. DIY reminders of fun times. If you’re into DIY, make a set of travel signs (those wonderful, hand-painted directional signs you find at a crossroads that say, Athens – 1,312km… Paris – 475km… New York – 2,010mi… Rio de Janeiro, 4,276mi… They remind her of the fun the two of you had and make a wonderful yard sculpture, too! Or, create a charm bracelet with charms that represent momentous occasions or special places. As your memories grow, so does the bracelet! 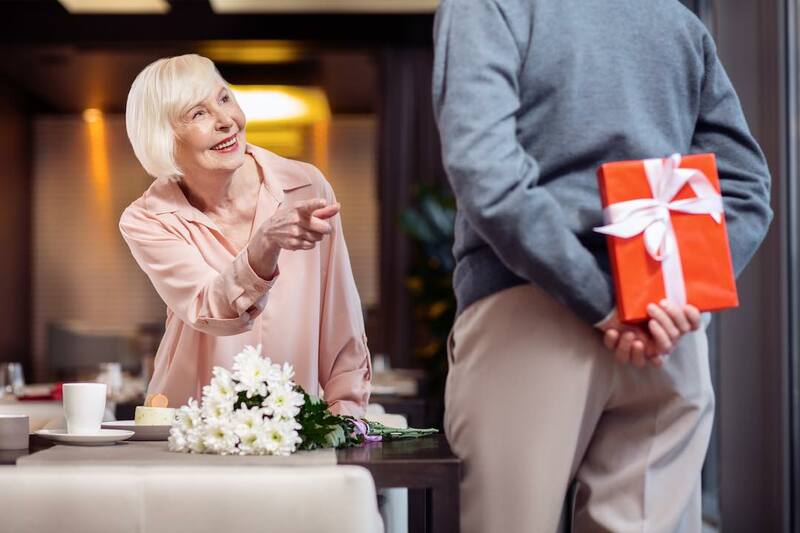 Choosing a meaningful gift is easy if you focus on what she will really use and appreciate, what reminds her of good times, and what speaks to her personality. These 10 gift ideas for your wife are sure to please her and make you look like a gift-giving hero!